Take to the battlefield with stylish protection when you wear the Mathes Steel German Sallet. 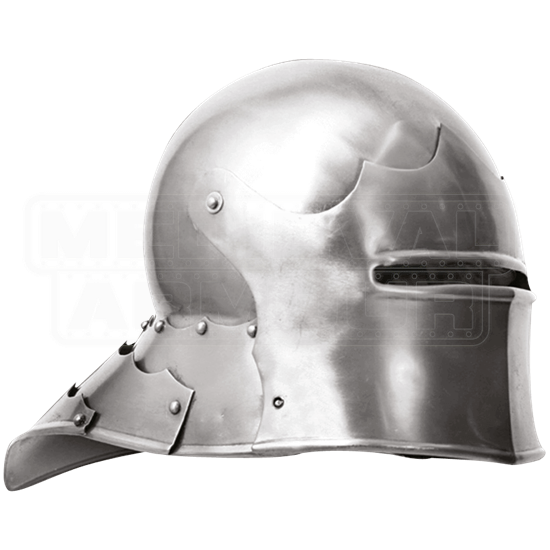 This steel helmets hinged visor and extended tail feature sharply scalloped upper edges, lending sleek ferocity to its 15th century form. The rounded skull creates phenomenal contrast against these angular features while the visor provides full face protection. A thin eye slit permits sight. Protecting the back of the neck, this medieval helmet features an impressive extended tail constructed from riveted lames, each detailed with a scalloped upper edge. 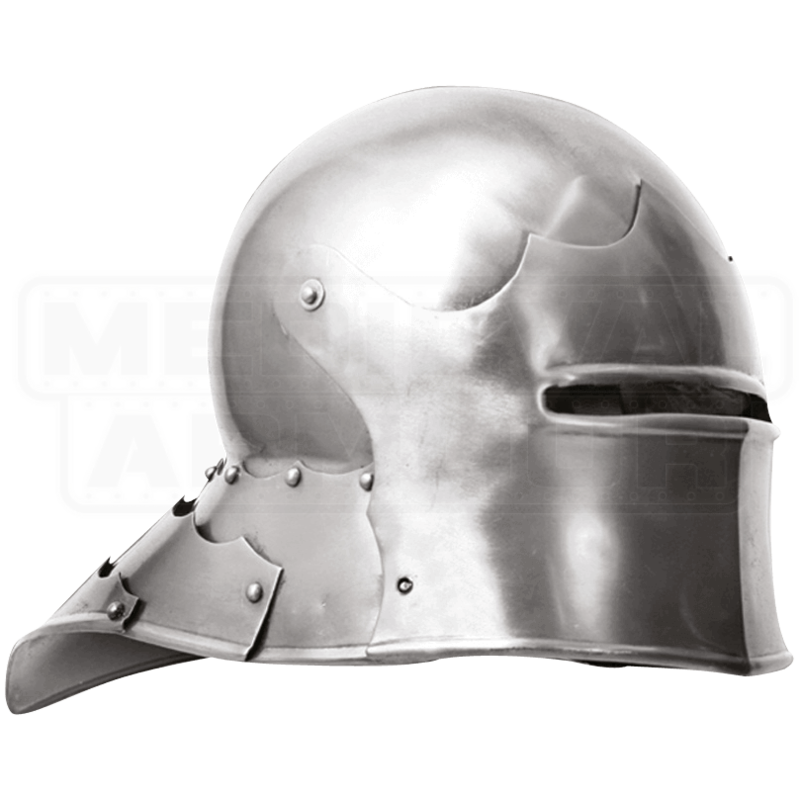 Great for medieval mercenary characters and armor-wearing knights, this handmade steel helmet is ideal for LARP and costume use. Be sure to wear a padded arming cap underneath the helm for safety and comfort.